Home Technology Reviews Tech Trends for 2019: Looking Good; Talk to Me! You don’t have to be a geek to appreciate the tech advances of the last couple of years. Cell phones are thinner and smarter, TVs are bigger and sharper, and gadgets that once sat silently until you pushed a button now jump to life at your spoken command. As the 2018 holiday shopping season melted into 2019, many innovations in home and business tech were incremental but interesting enough for most to appreciate. So what’s hot in tech right now? According to the Consumer Technology Association (CTA), which runs the annual International CES in Las Vegas (formerly the Consumer Electronics Show), televisions edged out laptops as the most desired tech gift for the 2018 holiday season. Tied for third place were smartphones and tablets, followed by smartwatches, desktop computers (a mild surprise) and cameras. According to the CTA, 2018 holiday-season tech gear sales were expected to rise 3.4 percent to $96.1 billion, a welcome increase from $93 billion in 2017, which represented a disappointing 3 percent decline from 2016. This year, consumers can expect voice commands to replace keyboard keystrokes, wireless technologies to get faster and more reliable and for simplicity to come to gadgets which once required a college course to master. According to the CTA, 4K ultra-high-definition (UHD) television will become the consumer standard in 2019 as they become dirt-cheap. While high-definition TVs (HDTVs) already provide very sharp images at a resolution of 1,920 by 1,080 pixels, 4K UHD TVs offer four times the resolution at 3,840 by 2,160 pixels. For example, in late 2018 a 49-inch TCL 4K UHD LCD TV with built-in Roku streaming service sold for less than $300 even before Black Friday when its price dropped below $280. Even at that price the unit includes support for high dynamic range (HDR), a feature that improves image contrast and colors when used with compatible video content. In 2019 consumers can look forward to affordable 4K UHD LCD TVs from TCL, Vizio, Element, Hisense and others, while some TV makers like LG, Toshiba, Philips and Panasonic will focus on 4K UHD TVs with more expensive OLED (organic LED) display technology. Unlike LCD displays, which are backlit, each tiny OLED pixel generates its own light, thus providing cleaner whites and deep blacks. Another popular option is Samsung’s QLED TV technology, a unique “quantum dot” extension of LCD technology which Samsung claims yields images that can compete with OLED screens—but at a better price. Black Friday 2018 pricing dropped the cost of a 55-inch Samsung Smart QLED 4K UHD TV to $1,100—well under the $1,600 cost of an LG 55-inch Smart OLED TV at the same outlet. 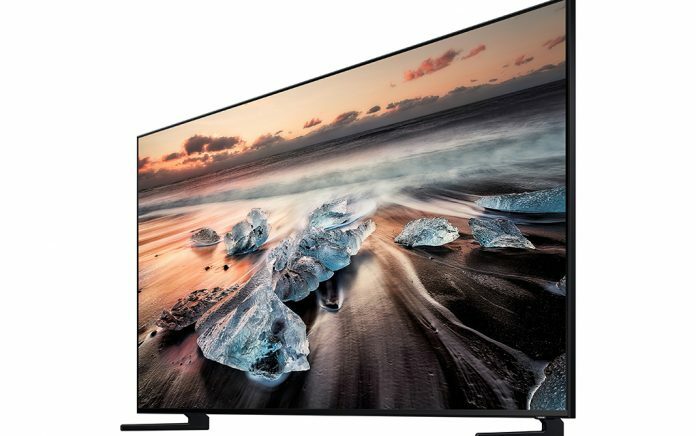 In October 2018, Samsung announced an 8K QLED TV, the 85-inch Q900FN QLED 8K UHD TV. The only thing more astounding than its screen resolution of 7,680 by 4,320 pixels might be its price: $15,000. Bigger and better is no longer good enough for top-shelf smartphones. Sure, the newest entries from Samsung, Apple, LG, Motorola, Honor, ZTE, Huawei and others feature large, sharp screens and long battery life, but many now feature sophisticated camera systems meant to make you and the rest of the world look really good. 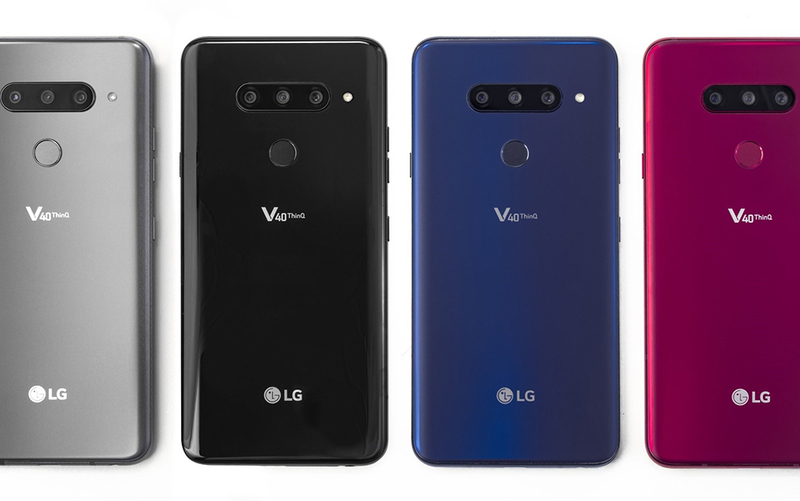 The LG V40 ThinQ Android smartphone has a 6.4-inch display and Qualcomm’s powerful Snapdragon 845 processor, but also offers a nifty array of cameras—five of them. The three rear cameras (wide angle, normal and telephoto) and two on the front (normal and wide angle) can be used alone or in various combinations. You can trigger all three rear cameras at once to capture wide, normal and telephoto versions of the same view, or use the LG V40 ThinQ’s software to create an image where part of the photo is static, and part is in motion—like a beach photo where the waves move but your family doesn’t. 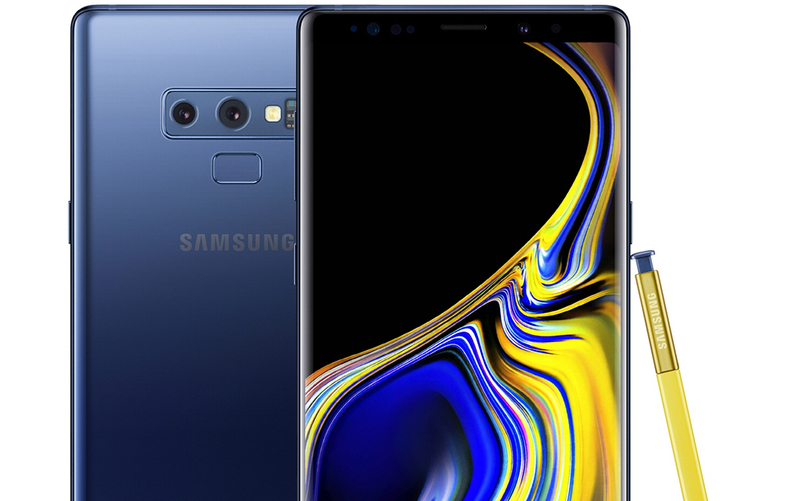 Samsung’s Galaxy Note9 also has a 6.4-inch display and a Qualcomm Snapdragon 845 chip but adds a smart electronic stylus that can double as a remote control for its cameras. The Note9’s photo software alerts you if something is wrong with a photo you just took—if someone blinks, for example. The Note9’s two 12-megapixel rear cameras (wide and telephoto) have a two-step aperture—a feature normally seen only on real cameras. For example, the wide-angle rear camera can snap from an f/2.4 aperture to f/1.5 to let in more light and shrink the range of focus—thus blurring out the background. Apple’s iPhone XS Max features a 6.5-inch screen, Apple’s A12 Bionic processor and an image sensor with pixels Apple claims are deeper and larger than other cell phones and are thus able to capture more light in dim conditions. The image sensors capture depth information that can be used to edit the image and adjust which parts remain in focus. In 2019 the curtain will rise on the first smartphones that support new fifth-generation (5G) super-high-speed phone networks and data services. In addition to providing much faster data speeds for apps and web surfing, 5G service has other advantages, like faster call connections and much higher “connection densities,” which means that 5G cell towers will be able to handle many more customers at once than today’s 4G towers. Higher speeds with better data reliability will pave the way for higher screen resolutions for video games while still leaving plenty of bandwidth for trash talking with your opponents. In 2019 smart voice assistants like Apple Siri, Google Assistant, Amazon Alexa, Microsoft Cortana and Samsung Bixby will find their way into more gadgets from companies other than the ones that created the technologies. For example, iHome, which started with simple clock radios, now offers a full line of voice-enabled Bluetooth speakers, clock radios and home-automation gadgets like water leak sensors. 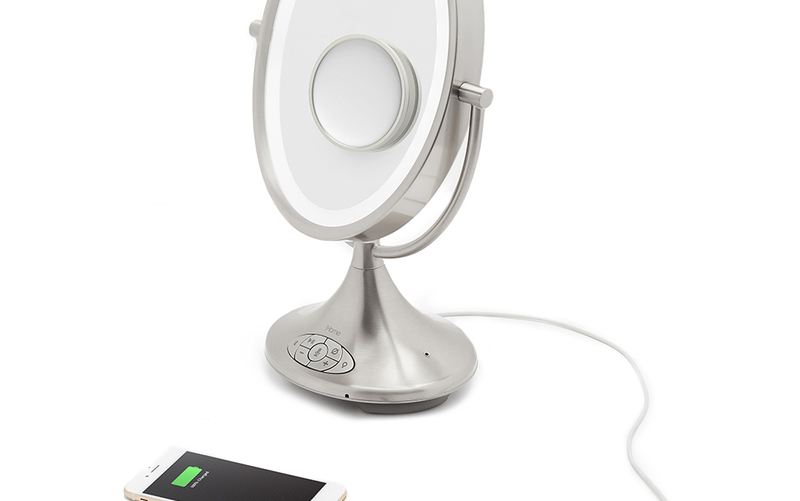 Not only can you charge your phone with the innocent-looking, Alexa-enabled iHome Vanity Mirror (model iCVA66), but you can also ask it for the weather or a traffic report as you use one of its two 9-inch mirrors or just listen to music wirelessly streamed from your smartphone. However, while these voice-enabled home devices are getting smarter, CTA research shows that they have a way to go in gaining consumer confidence. Most consumers only make use of the most basic voice commands, like asking for music, according to the CTA; very few voice assistant users are ordering food or calling for Uber rides. There have been times when lightweight laptops couldn’t keep up with the demands of powerful applications. That’s not the case for 2019: Even inexpensive, thin laptops will offer more than enough cyber muscle for most users’ needs. 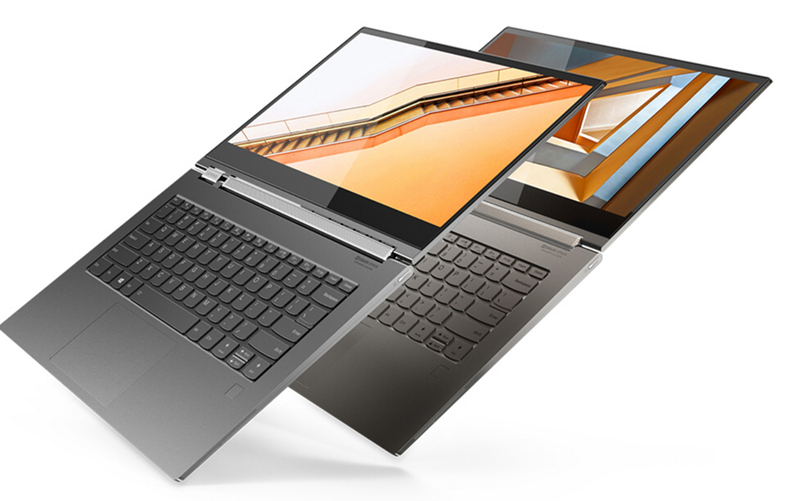 For example, Lenovo’s 3-pound Yoga C930 2-in-1 laptop is just over half an inch thick but incorporates a clever rotating Dolby Atmos sound bar between the keyboard and the screen and has microphones sensitive enough to respond to a voice command from nine feet away. The unit’s eighth-generation Intel Core i7 processor provides more than enough power for even demanding video editing tasks and the unit can be ordered with a 13.9-inch 4K display. At the end of the tech-shopping day, remember that some new technologies go from “hot” to “forgotten” overnight. Remember 3DTVs—TVs that could show 3D content with the aid of special glasses? The market for those vanished in just a couple years as the public tired of the expensive glasses and lack of 3D content. So happy shopping—but buyer beware.